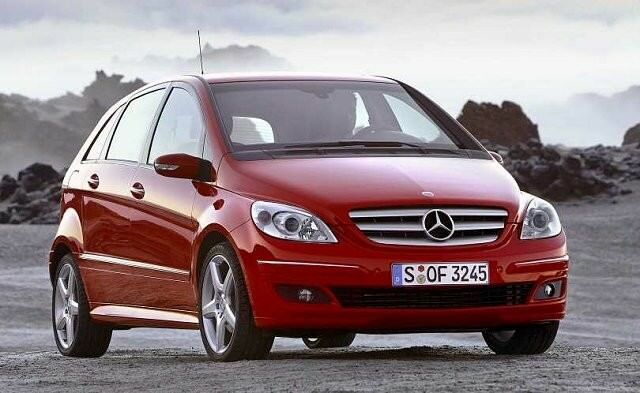 Like its A-Class relation the Mercedes-Benz B-Class features an innovative construction to maximise interior space - despite a relatively small footprint on the road. Like its A-Class relation the Mercedes-Benz B-Class features an innovative construction to maximise interior space - despite a relatively small footprint on the road. Slightly larger than the A-Class, the B-Class is Mercedes-Benz’s take on a premium compact people carrier, though it makes do with just five seats. It’s spacious inside, and its height means a good view out for all, but it's expensive compared to mainstream compact MPV offerings and neither is it anywhere near as versatile. It may be billed as a compact MPV but it’s more of a space efficient hatchback than a properly versatile, multi-seat optimised MPV. So five seats only here, but then it does offer 544 litres of boot space with the seats up and four times that if you stow them. Neither BMW nor Audi offer a direct competitor to the B-Class, making this the only real premium badged compact MPV available, its key rivals being mainstream offerings like the Volkswagen Golf Plus and the Ford C-Max. Where the Benz excels is refinement and premium feel. New it was significantly more expensive than those mainstream offerings, but it came with a decent specification as standard, including air conditioning, electric windows, body-coloured bumpers and alloy wheels. The engine range offered in other markets was, like its A-Class relation, extensive, but the majority of sales in Ireland were of the B 150 model, powered by a 1.5-litre petrol engine with 95hp and 140Nm of torque. Unsurprisingly that means performance is not what you’d call electrifying, but then decent economy and fine refinement make up for that. Likewise the driving experience; either of those mainstream offerings will deliver bigger grins behind the wheel, though that premium badge does offer some compensation, the interior feeling like it’ll outlive you. Trim levels follow the usual Mercedes-Benz structure, with Elegance, Avantgarde and Sport, the latter gaining larger alloy wheels - to the detriment of its ride comfort. A five-speed manual gearbox is the standard transmission on the B 150, though a good number were sold with the optional automatic, which shifts smoothly but further dents performance and comes with a penalty regarding economy too. The B 150 with the standard manual transmission is difficult to ignore, not least as it’s by far the most popular choice in the classifieds. With 6.6 litres/100km consumption and CO2 emissions of 158g/km it shouldn’t break the bank to run, though servicing costs will be greater than for its mainstream rivals. If the original A-Class is odd then the B-Class only builds on that. Slightly more spacious but more expensive again its qualities aren’t such that you’d seek one out over the A-Class. Or indeed mainstream alternatives, which offer much the same, or more, versatility, but come with more palatable purchase prices and running costs.